A program that provides dozens of scientists and other experts to the Hawaii-based Joint POW/MIA Accounting Command is being sharply cut. 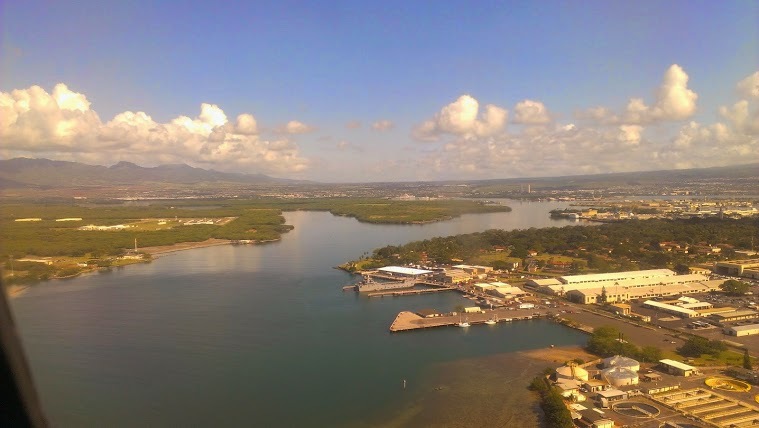 The move comes at the same time that Congress is seeking more recoveries and identifications from JPAC, whose headquarters and main lab are at Joint Base Pearl Harbor-Hickam. Associated Press. There had been great interest in whether William Aila would be retained by Gov. David Ige as chairman of the Board of Land and Natural Resources and head of the Department of Land and Natural Resources. Neil Abercrombie, the governor who Ige defeated in the Democratic primary, was among those who urged the new governor to keep the popular Aila. Turns out that Ige is keeping Aila, but not on the Land Board. Civil Beat. Gov. David Ige appointed five new cabinet members. Ige says all of the appointees have a leadership style that will move Hawaii forward for the benefit of the public. Some are staying on from the previous administration. Associated Press. Almost two dozen Hawaii media outlets and nonprofit organizations have come together to start a dialogue with Gov. David Ige’s administration about government transparency and accountability issues. Brian Black, the executive director of The Civil Beat Law Center for the Public Interest and the organizer of the effort, delivered a jointly signed letter to Ige’s chief of staff, Mike McCartney, on Friday. Civil Beat. The Hawaii Tourism Authority has chosen a search committee to establish the search process and qualifications for a permanent president and CEO of the state agency. Pacific Business News. On the ninth day of President Barack Obama's vacation in Hawaii, he went to the Kaneohe Klipper Marine Corps Base Hawaii golf course. Star-Advertiser. How President Barack Obama spent the ninth day of his family’s holiday vacation on Sunday. Associated Press. Are Hawaiian Electric and NextEra Energy Getting Married? Company officials are describing the proposed deal in many ways, including a "marriage," "partnership" and "combination," blurring the true nature of the acquisition. Civil Beat. Judge criticizes city's bungled prosecution in tossing indictment. Misconduct by two government attorneys scuttles a trial about gambling machines. Star-Advertiser. Cleaner air and less litter at beaches and parks. That’s what some Oahu residents say is the result of a smoking ban that went into effect almost one year ago. KHON2. Vacation cons take their toll. Police often can't solve the crimes because many occur out of state, leaving travelers with a loss of cash and no place to stay. Star-Advertiser. Hawaii Island raked in $91.48 million in 2012 thanks to direct and indirect impacts of the astronomy sector, according to a recent study by the University of Hawaii Economic Research Organization. Tribune-Herald. The front of the lava flow coming from the Kilauea Volcano advanced another 10 yards Sunday. Hawaii County Civil Defense said the front of the flow remains active but sluggish, moving 15 yards on Saturday after stalling for five days. Star-Advertiser. According to Hawaii County Civil Defense their Sunday morning flyover of the June 27 lava flow from Kilauea volcano showed the flow front, which had been stagnant for several days, had advanced about 10 yards since Saturday afternoon, and about 25 yards in the previous 48 hours. Tribune-Herald. They say bad news comes in threes, but in the case of the Department of Water Supply, it’s come in fours. Four water wells in West Hawaii experienced breakdowns in rapid succession, leaving the department scrambling to repair them, even as meteorologists predict a drier than normal winter. West Hawaii Today. Hawaii's supply of locally grown tomatoes has gotten considerably smaller after one of the state's biggest producers decided to exit the business. Hamakua Springs Country Farms on Hawaii island ceased tomato production at the end of November, leaving stores around the state such as Costco, Foodland, Safeway and Whole Foods without the company's hydroponically grown varieties, which included cocktail, beef and heirloom tomatoes. Star-Advertiser. As the end of 2014 draws near, a prominent construction project in Kona is on schedule for completion. Traffic circulation and public safety will improve when the extension of Laaloa Avenue, a mauka-makai connector road, opens next month, said Warren Lee, Hawaii County Department of Public Works director. West Hawaii Today. The county Department of Public Works Traffic Division will begin internal testing today of a traffic camera on the Keaau bypass portion of Keaau-Pahoa Road (Highway 130) at the intersection of Milo Street. Tribune-Herald. Maui County is sending notices of violation to several hundred unpermitted vacation rental operators who've been doing business under the radar but now have been targeted for enforcement because their online advertising is evidence of illegal activity. Maui News. Maui, Oʻahu, and Kauaʻi are the three islands that are no strangers to experiencing frequent housing shortages. Maui Now. A $12 million retail/office, residential apartment and independent senior living development with more than 170 additional public parking spaces is proposed for a 9-acre site within the Baldwin Avenue-Paia Mini Bypass pocket of former sugar cane fields. Maui News. A piece of ordnance found by a diver in waters off of Maui on Saturday, has since been safely removed and detonated. Maui Police say the ordnance, identified as a M301A3 81 millimeter mortar illumination round was safely transported to the Ukumehame Firing range for safe detonation. Maui Now. Mochi making, a traditional New Year’s practice, got in the way of the first visit by Gov. David Ige and his family to Kauai since being elected governor in early November. Garden Island. Tensions bubbled to the surface during a Wailua-Kapaa Neighborhood Association meeting on Saturday, where one of the main topics of the day was HoKua Place, a planned 769-home community behind Kapaa Middle School. Garden Island. Two luxury condo owners are claiming they were mislead and overcharged as their development surrounded by blight was converted into a timeshare resort. Garden Island. Lanai's only movie theater reopened Dec. 20 as Hale Keaka - "theater" in Hawaiian - after being closed since the 1990s. The Pineapple Isle landmark underwent a $4 million renovation and features a modern interior and exterior reflecting the character of the island in the 1930s. Maui News.